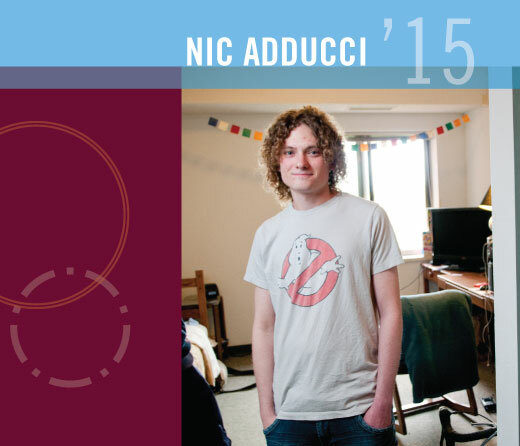 For most of his life, Nic Adducci ’15 was the kid who couldn’t read or write. The kid who had to go to the principal’s office to take his pill every day. The kid with a learning disability. Today, due in part to support he receives from Augsburg’s Center for Learning and Adaptive Student Services (CLASS), Adducci made the dean’s list with a 4.0 grade-point average. 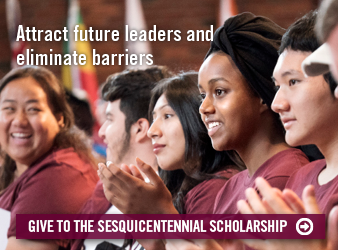 A double major in business management and psychology with minors in economics and political science, he has shed much of the stigma associated with having a learning disability and has found success at Augsburg. In the second or third grade, Adducci was diagnosed with attention deficit hyperactivity disorder (ADHD). It was a time, he said, when educators, students, and parents were just beginning to understand learning disabilities. “I was the only student in a small class with a learning disability. I was the kid who had emotional and behavior problems, and when I had a bad day, [the question] was, ‘Did you take your pill today? '” he said. In 2006, Adducci was told he needed to complete a bachelor’s degree as a requirement for his job. 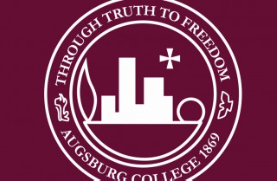 A co-worker who had graduated from Augsburg through Weekend College recommended the program, and Adducci found himself back in the classroom. For several years, he took a class here and there while he continued to focus primarily on his work and personal life. Then in 2011, he realized he needed to make his education a top priority. 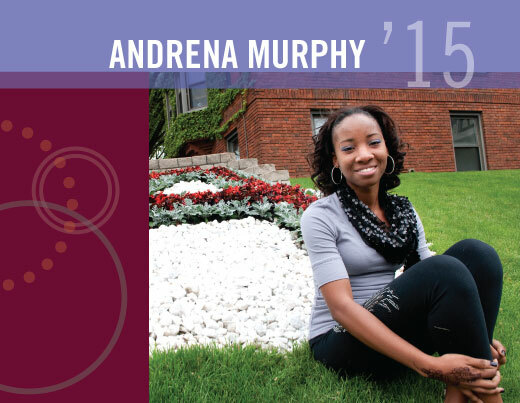 He enrolled as a full-time student in the College’s day undergraduate program and moved onto campus. Adducci’s biggest learning-related challenge is reading. “It’s hard to concentrate and my retention is really low,” he said. The accommodations provided through CLASS include extra time to take exams, working with a notetaker in classes, and using the Kurzweil software program that reads his textbooks aloud for him. In two semesters as a full-time student, Adducci not only raised his grade-point average and made the dean’s list, he also landed a position as a residence life adviser for next year and made an impression on his classmates and instructors.